A little bit of progress was made for Trail Running in Nepal on the weekend of 12th may 2018. This from a simple press release. Nepal has athletic talent, just as every country, but being a hilly nation of villages connected by foot trails, it might have a small advantage over other nations*. 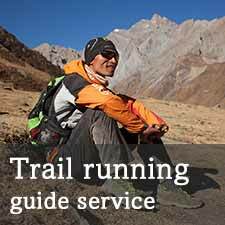 Trail Running Nepal has been trying to introduce and move the sport forward for the past 8 years with limited resources and give talent a platform. This year we made a big effort to try to have Nepal represented at the Trail World Championships with female and male teams, which means a minimum of three athletes per team. 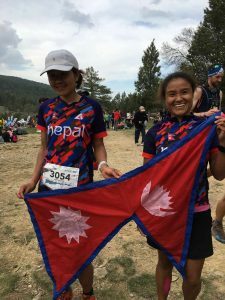 We launched a fundraiser, were stunned by the generosity of Nepal trail running supporters, and two teams did indeed compete at the championships. It was an amazing experience for the runners, they enhanced the event with their presence. It wasn’t a true underdog succeeds story, but it was a milestone moment to participate in a World Championships and receive a world ranking. The exciting thing about the world championships is that it is a true competition, or at least developing into one. Many big races have only a handful of contenders for the podium and the result can often be predicted in advance. Companies such as Solomon have identified that ‘a race’ is important for media interest and have started to focus (their spending) on developing the depth in races, with the Golden Trail Series. The Trail World Championships has this automatically with the lure of the “World Champion” title, which for many people trumps the lure of a cash prize. It’s the only competition restricted to athletes designated by the country’s national federation. It’s rare also to have a team event which measures the depth of ability within a nation, at least on the race day, rather than just the individual stars. Given the high quality of the field, and the team competition how did Team Nepal do? The gentlemen proved the point about aggressive running! All of the four of Nepal’s runners are used to being in the lead pack in smaller races, but this race had many elite runners all starting with different strengths and strategies. At the 8 km water point, Bed Sunuwar was leading and Tirtha Tamang was third. Way too fast. Below you can see Tirtha’s rank vs distance compared to Cristofer Clemente of Spain who placed 2nd overall. Tirtha went off fast, and over time his rank dropped from 2nd to 36th. Clemente was 80th at the first timing point, and overtook Tirtha somewhere near the middle of the race and progressed to second. Given the team placing was most important for team Nepal, the excitement of the start meant the ‘team strategy’ flew out of the window. It was lucky too that Purna received his visa at the last moment, as Samir Tamang did not have the form needed to compete at this level. Expectations for the women’s team were not great simply because they have not run together before, and two out of three had not even run the distance (86 km) before. They all finished strongly and so ranked as a team, which itself is an excellent result. Rojina had stomach cramps early after a fast start which slowed her down but recovered enough to complete the tough second half of the course. Manikala ran a steady race effectively guiding Chhechee in her first long race. This worked out well and Chhechee found she had reserves remaining and pushed hard to the finish, finishing as 44th female. Still both the men and women’s teams were selected from a tiny pool of ‘ultra’ experienced athletes compared to the potential hundreds from other nations. The additional difficulty for Nepal is getting to the start line. Visa and finances are the two main issues. In terms of fundraising, we had amazing support from some very generous people. From 5 euros to 1200 euros, from individuals and organisations, it all added up to enough to complete the mission and the team members are very grateful for that. It’s also inspired a few individuals in Nepal to work on the fundraiser for 2019 which is fantastic. With regard to visas, applications from Nepal are distrusted by default as many Schengen visa holders from Nepal in the past have overstayed to work. Chhechee and Purna had their visas rejected initially as they had not held a Schengen visa before. That was the only difference between them and the four who did get a visa. We spent money to get them to Delhi to contest their visa rejection with additional supporting documents to prove they were genuine cases, and thanks to the Spanish consul for looking favourably on their case the second time around. Thanks to Alejandro Ouziel for his intervention to make this happen. The 2019 Trail World Championships race is a ‘short’ race of around 50 km to be held in Portugal. This means it is potentially more competitive, but then Nepal has a lot of male runners in the Nepal Army, Police and Armed Forces Police continually training for the marathon distance. In the women’s category there is work to do to find the best runners in this category but certainly there are more than the 80-90 km category. Stepping back a little, there are some complications too. 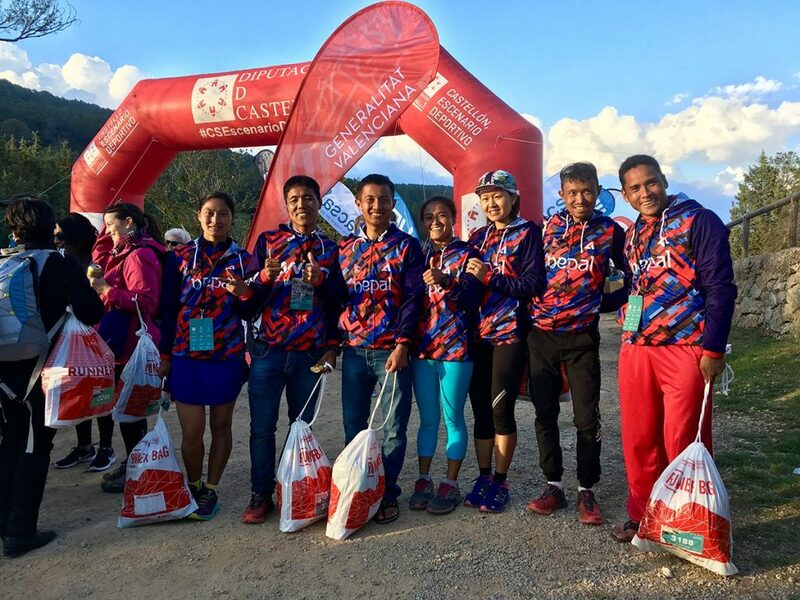 The Nepal Athletics Association struggled to answer emails to it from the International Association of Ultrarunners (IAU) and volunteers had to step in to do everything from communications, paying membership fees, selection, fundraising, payments, providing equipment – actually everything. 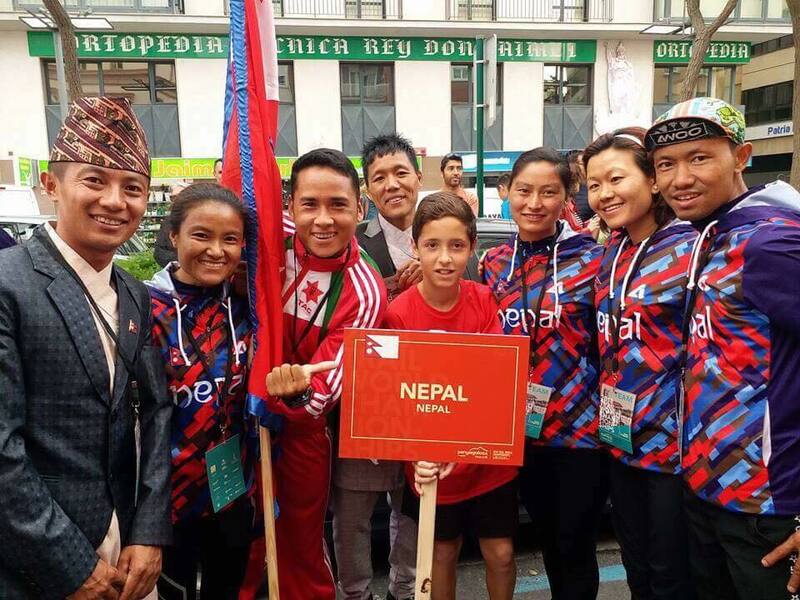 It’s not known if Nepal Athletics Association even know that athletes attended a World Championships Event. Hopefully this will change in future through a Nepal Trail Running Association magically being formed. Without that, all efforts remain unofficial. A team of up to six men and six women distilled from a larger selected squad. Selection based on performances in comparable races in Nepal (Annapurna 100, Nepal Ultra Trail, Stupa to Stupa) above other more practical factors. A training programme up to the race tailored to the course, designed and supported by a coach. Better understanding of the course and the challenges it presents including temperature & clothing required, gradients, terrain underfoot etc. Understanding how to optimise team ranking, which teams are the threats etc. Optimising nutrition consumption & aid station stops etc. It was amazing to see team USA – Zach Miller throw his running pack to his team and receive a fully charged new one in response, ready to go. There is a lot to do to be competitive and trail running is only getting more competitive. The idea that Nepal must have champions simply because it is a mountain nation is a nice thought and there is a great underdog story to root for. Making a really competitive team however requires resources, a professional approach, and a lot of hard work! Thank you for your support for this successful mission! Special thanks to Paul Bolla, Daniel Prime and Martial Collomb for being team support crew. Thanks Max for hosting the fundraising site. Thanks Alex Ouziel for helping getting Chhechee and Purna get their visa. 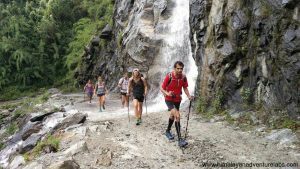 Thank you to generous sponsors who tipped the balance: Shikar Pandey at Everest Marathon, Nic Heaney and family in Singapore, Niraj at snowcattravel.com, , Ram Puri, Jerry Lap & Skychasers and the 100+ other donors who made this happen.Gone Running HK, Salomon Nepal – thank you for your help with race shoes. Overstimms Asia – thank you also for supporting the pre-race, race and recovery nutrition – a very big help! Thank you from all the team! The story continues! See you in 2019! * Given the women’s race was won by a woman from the flattest country on earth, maybe not so! This entry was posted in Blog and tagged Bed Sunuwar, Chhechee Sherpa, Manikala Rai, Purna Tamang, Rojina Bhandari, samir tamang, Tirtha Tamang. Bookmark the permalink.